When people think about living the van life, they usually conjure up images of a Skoolie adventure bus or one of the fancy Mercedes Sprinter Conversions that we covered a while back. From the best Ford Campers to the Nissan Camper workshop on wheels, hardened vandwellers and newcomers alike associate van life with 4×4 vehicles, long wheelbase vans and monster camper models like the Ford EarthRoamer. If you’re a regular reader, then you’ll know that we love small campers and small travel trailers here at Van Clan, and today we’re going to show you how going small can sometimes be better than buying tall (that sounded way better in my head…). Small campers often get overlooked in the race to make the biggest, fastest, and most luxury campers. In a word where the Ford Transit Camper and the Mercedes Off Grid Van appear to reign supreme, we often forget to think about the little guys, the trusty day campers and micro trailers that are waiting in the wings should we fancy an impromptu camping trip. 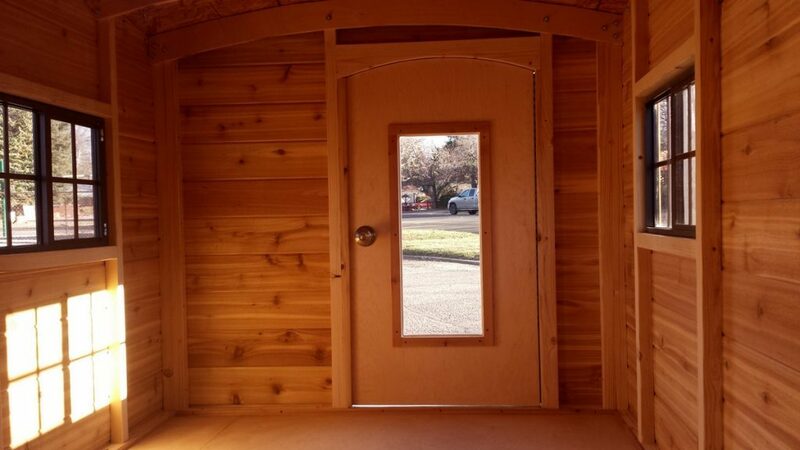 If you’re a fan of minimalist alternative living in a tiny home, however, then this article will make you feel like your birthday has come early. We’ve tracked down 15 of the best small campers on the internet for you to check out and hopefully get some inspiration. 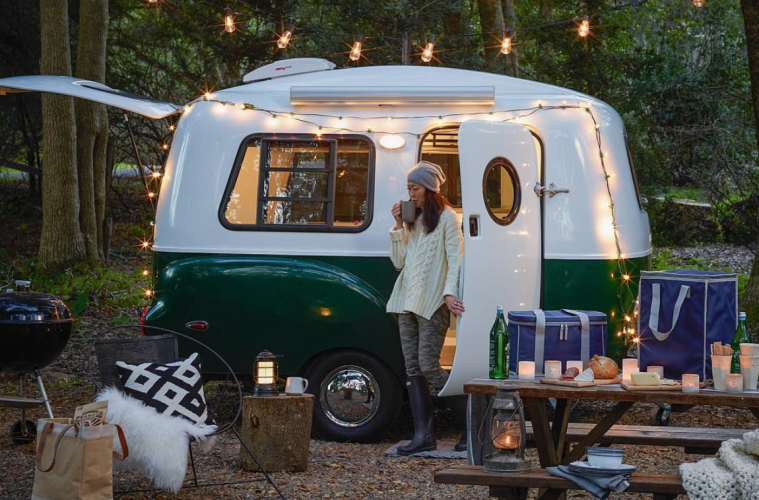 From a compact camper van that can fit your garage to a tiny trailer that is perfect for living the trailer life, this list is all about getting off the grid for less, and still doing it in style. Are you a weekend warrior or fancy full time van life? Head over to our Facebook Group and join our ever-growing community of van lovers! 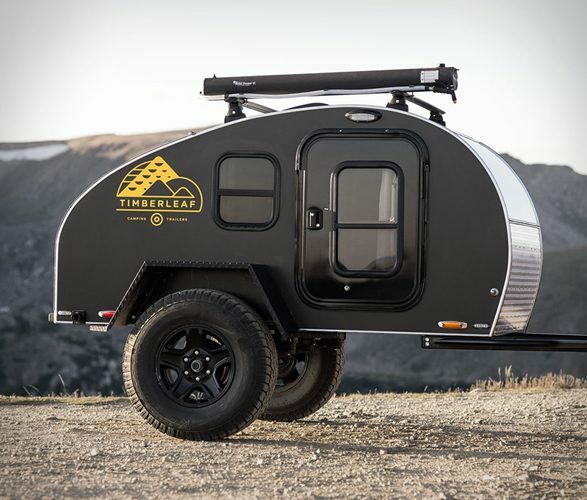 The Timberleaf Pika Trailer has to be one of my all-time favourite small campers. It combines everything that we know and love about the classic Teardrop Camper design and amplifies it tenfold to create an off grid trailer that knows no bounds. Weighing just over 1000lb’s it’s one of the lightest campers on our list, but it’s built to withstand rough terrain and mountain ascents without showing so much as a quiver. Think of the Pika as the Unsullied of Trailers; you could even call it Grey Worm if you like. How can such small campers cope with so much? The Pika’s secret weapon is a Timbren Axleless suspension with a 4″ lift. Twin that with the 33″ BFG All-Terrain tires and electric brakes, and you’ve got a trailer that can cope with just about anything. Inside you’ll find a comfortable living area with all of the van life essentials for living off grid. Sleep soundly on the 4″ mattress, charge up your devices from the 110V power, converter and 12V battery power outlets, and gaze up at the stars as you congratulate yourself on buying a tiny trailer that didn’t swallow your bank balance. Check out our full article on the Pika Timberleaf Off Grid Trailer here. 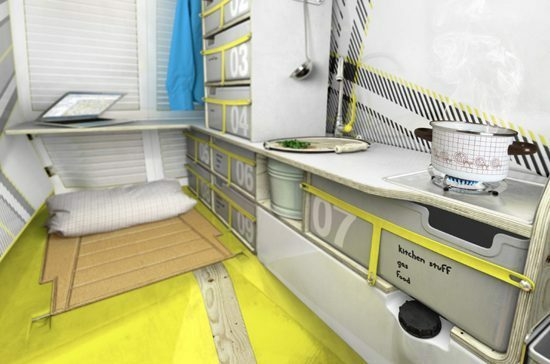 I’ve spent the past 10 minutes being mesmerised by this GIF; I still can’t believe that the Camp 365 can turn from what looks like a small space pod into a fully fledged camper! 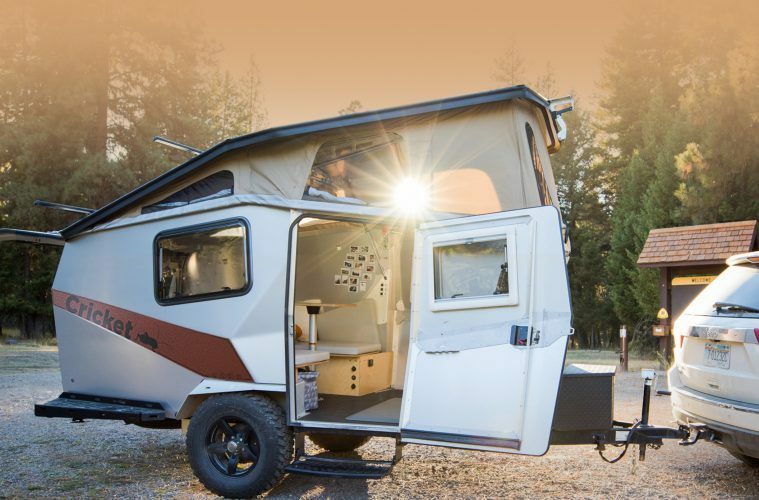 If you’re in the market for small campers, then the 365 does exactly what it says on the tin, transforming from a capsule that’s 7 feet tall and 4 feet wide into an off grid cabin with 100 square feet of space to play around in! This expandable trailer is a perfect example of how pop up campers are great for anyone who doesn’t have a lot of space to store a large RV or caravan, and at just over 1400lb’s it won’t require massive muscles to shove around either. Once the camper is erected, it turns into a large party cabin with enough room to sleep six people comfortably, and the 7 foot6-inch ceiling is large enough to accommodate even the tallest of vanlifers. These small campers come with a full size bed and full pull out beds, a two hob burner, refrigerator and shower/toilet area. There is a bit of an issue with everyone basically being able to see and hear you do your business if you’re in the same room as them, so maybe you could bring your own camper shower and toilet set up to give yourself a bit more privacy. It’s time to move on to look at the rest of our small campers, but you can check out our full article on the Camp 365 Travel Trailer for more information. The Australians know how to make a great camper conversion, and the Trakkadu is no exception. Perfectly suited for cruising along the Golden Coast, this breathtaking camper from Trakka is based on a VW T6 and stands as one of the nicest small campers on the roads today. Your pockets better be big if you want one though, as they certainly don’t come cheap! Trakka has souped up the T6 with all whole range of aftermarket products to prepare the Trakkadu for any type of weather and terrain. It doesn’t matter whether you’re heading to your favourite mountain park-up in the snow or driving across the country in a hailstorm, you won’t be slipping and sliding like a new-born penguin in this bad boy. 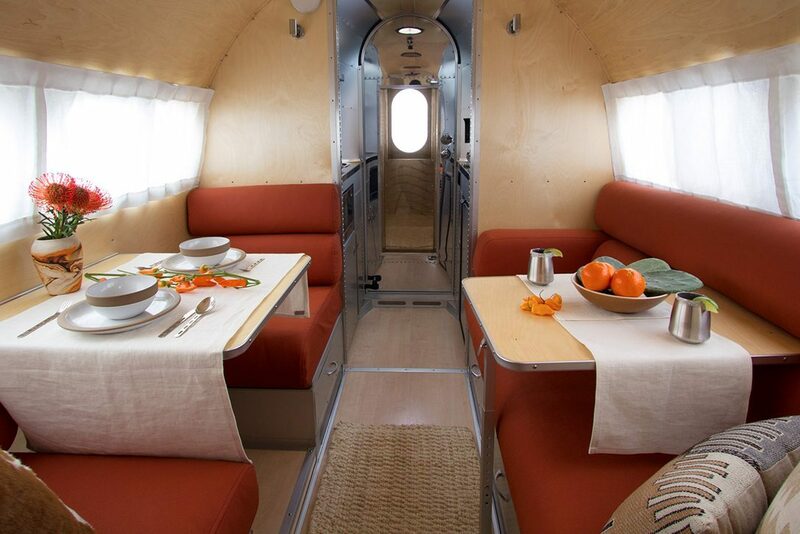 The interior of the Trakkadu is sleek and polished, kind of like an executives office on wheels, and that all-important pop top roof gives you extra height and ventilation. With a 12V fridge and solar panel as standard, you certainly won’t go hungry or run out of power while out in the wild, though after you’ve handed over $100’000 for a Trakkadu of your own, there might not be much money left for food. Check out our full article on this VW Camper to see it in all of its glory. We’ve looked at a lot of companies that make a living converting MPV’s and work vans from a standard vehicle into a cheap camper, but we haven’t been that impressed by what we’ve found. 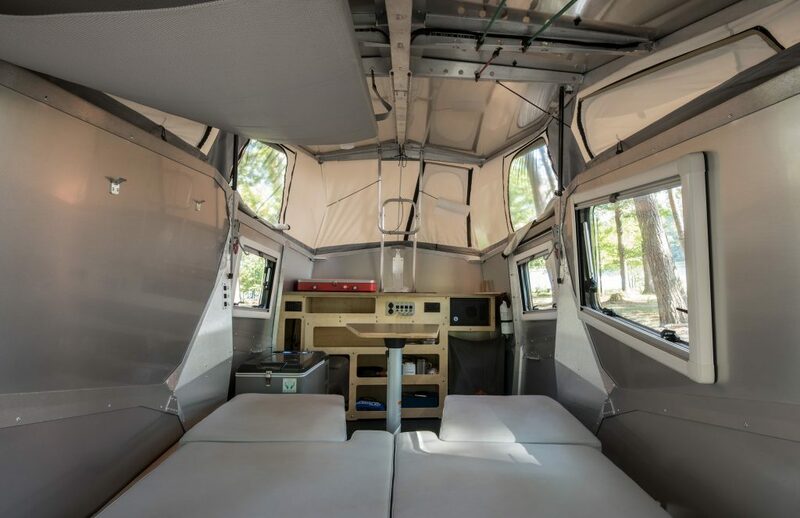 While they might look ok on the inside, the costs involved usually end up being way more than the van life costs you would expect to pay when making your own affordable camper. Well, that’s all about to change, as we recently discovered Rockin Vans and their amazing VW Caddy conversion. Based in Kilmarnock, Scotland, Rockin Vans make small campers with attitude, adding everything from spacious kitchen units to custom decals on the side of the camper for that added off grid living cool factor. 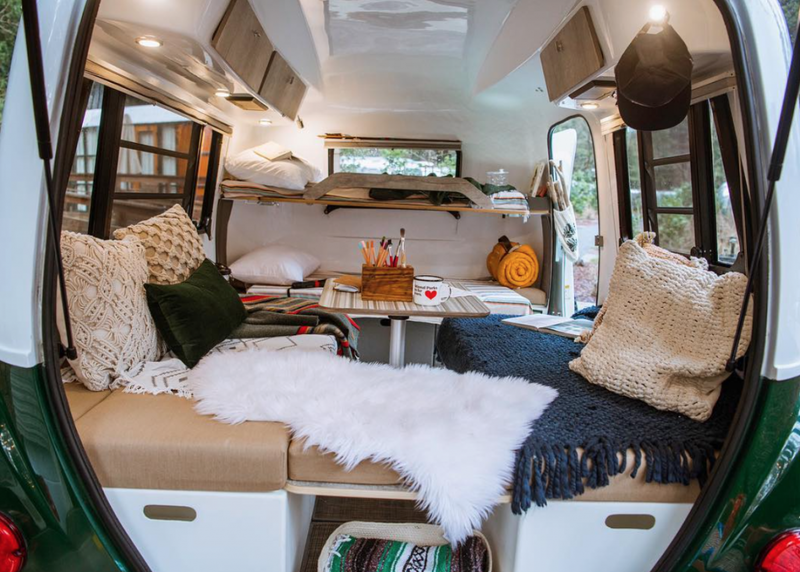 While Rockin Vans make several different camper conversions, their small campers are probably the most accessible for any weekend warrior or day camper enthusiast who wants to blend into the crowd without attracting too much attention. The Mini Camper is a great little nipper that has all of the essentials, and with that pop top up you even have the advantage of being able to stand up without feeling like you’re crammed in like a sardine. Sometimes it’s a good idea to rent an RV before trying out vanlife, and you can rent the Mini Camper from £69. It would be a very affordable and comfortable way to check out the Scotland 500 and other top road trips, and we wouldn’t be surprised if you put your name down for a Rockin Van of your own when you got back. 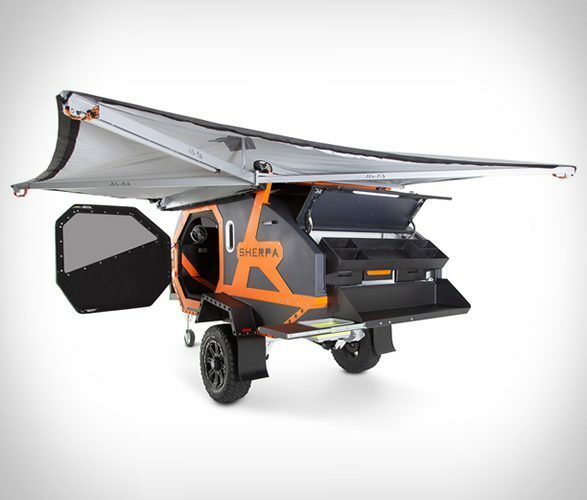 No, it isn’t some kind of Batmobile helicopter pod, it’s a camper trailer! The Sherpa Trailer is another towable tiny house based on the teardrop trailer travelling home, but this time the classic design has been pumped full of adrenaline and moulded into an off-grid behemoth. Another Australian design (those guys know how to make seriously cool campers! ), the Sherpa has more pull out attachments than a swiss army knife. 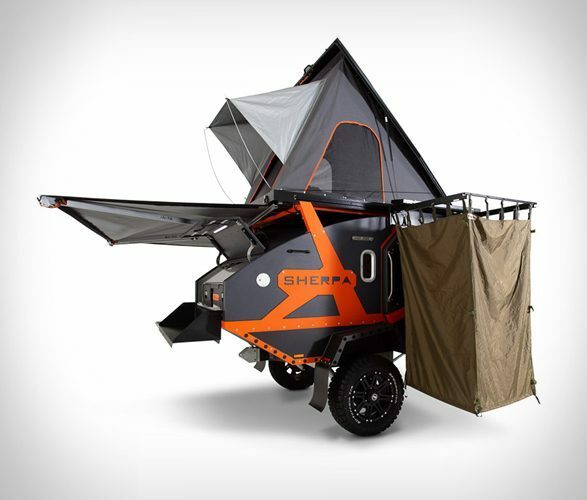 Not only does the Sherpa have a comfortable living area, a pop top with three windows and ample ventilation, but it also has a bat-wing awning that provides shade and shelter, and a pullout shower curtain so that you can crank up your RinseKit! The Back of the Sherpa has a neat kitchen area with a two-burner hob that (you guessed it) folds out of a hidden compartment, and the Sherpa even has two 30L Dometic fridges. I only have one in my van, and it has plenty of space, so imagine what you could do with two of them. One fridge for food and one for beer sounds like it could turn the Sherpa into a party camper in the blink of an eye, but this range of small campers is also perfect for any families that might want to head off to a special place close to their hearts too. You might have to pitch a tent for the children, but the 21″ tv and charging facilities will more than keep them entertained on rainy days. Check out our full-length article on the Sherpa Trailer for more information! At £55’000, this Mercedes Westfalia provides a dinky little camper with all of the class and style of the VW Trakkadu for almost half the price. Mercedes have unleashed this range of small campers in a bid to try and take over the weekend warrior market as well as the full time vanlifer market, and from what we can see they’ve done a pretty good job at it too. 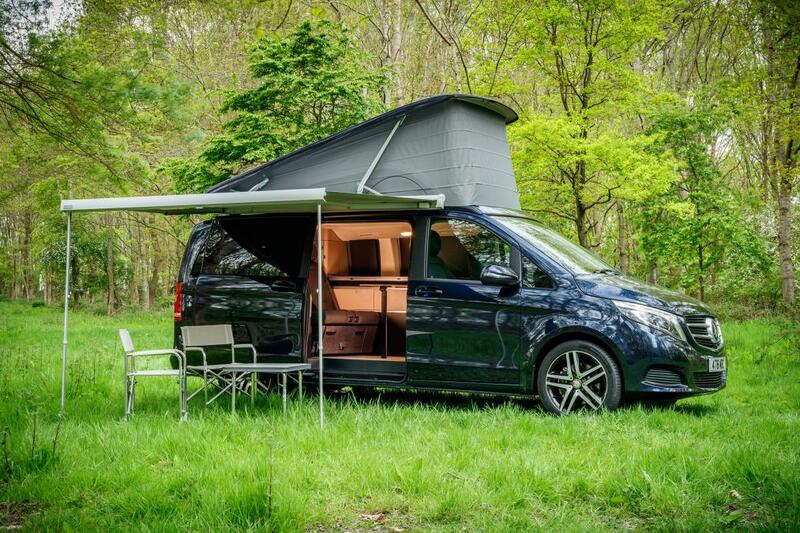 It comes with lots of campervan accessories designed to make your time on the road as comfortable as possible, but is it good enough to crack down on the all-powerful VW California Camper and other cheaper VW Busses? My instincts tell me that it isn’t, but for those of you who live and swear Mercedes Campers then it’s a perfect vehicle that can be used as both a camper and a ‘run-about’ car for errands and work. This Mercedes fleet of small campers has everything that you would expect from a mini day camper. 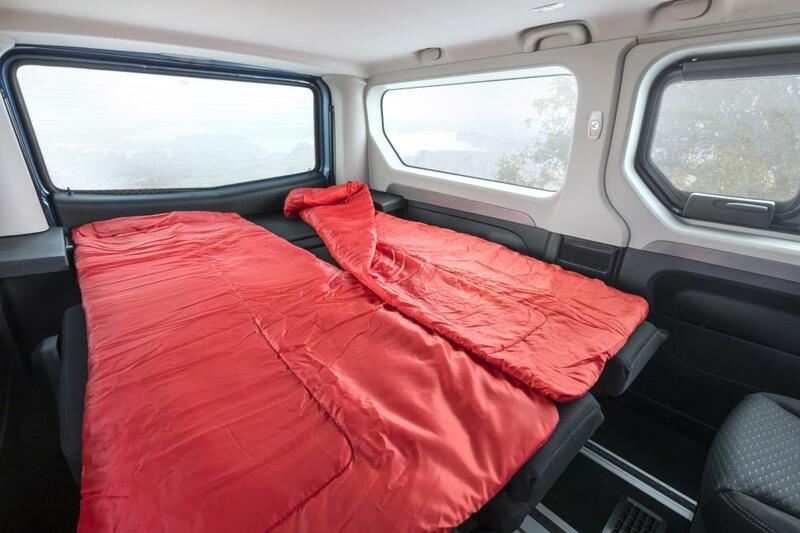 The back seats fold down into a bed that can sleep up to four people, but I don’t think my friends are close enough to all share a bed (come to think of it I don’t think I have four friends…). 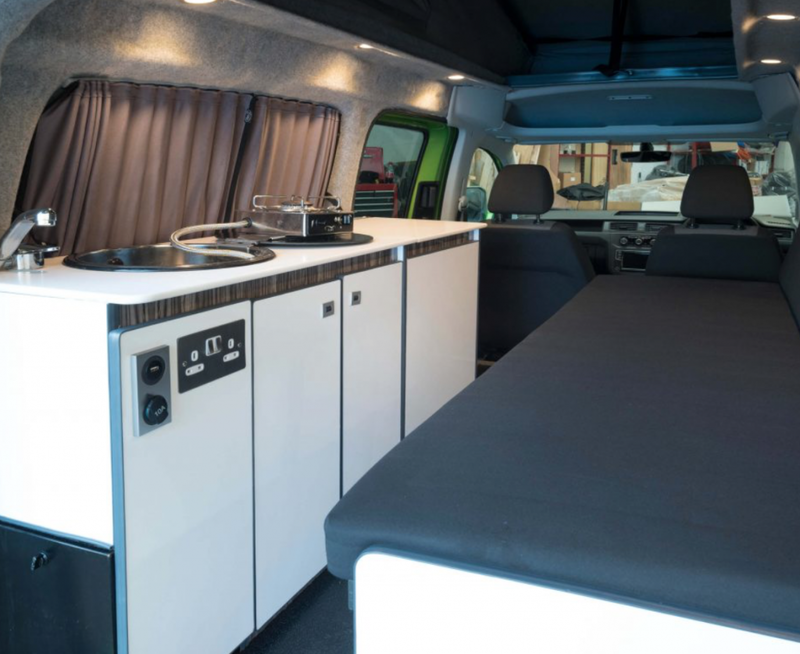 There’s a kitchenette area with your standard sink-fridge-hob combo, climate settings and auxiliary heating, and a Garmin sat nav that could prove a contender to the TomTom Go Camper. 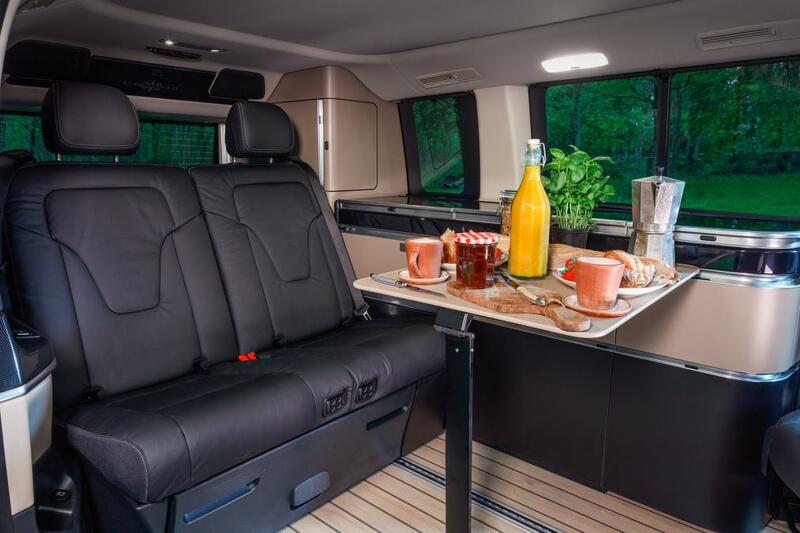 Could the Westfalia be the Mercedes Camper Dream Ride that you’ve been waiting for? 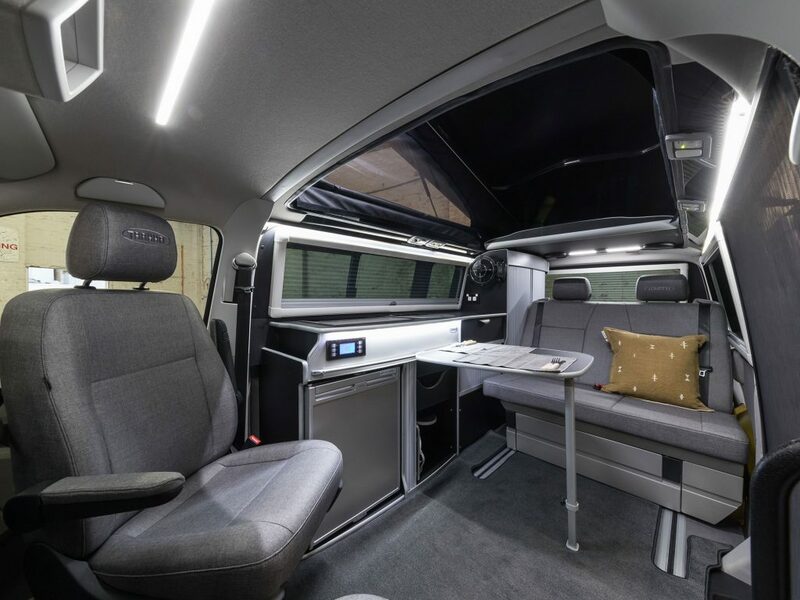 Check out our full article on this camper, aptly titled ‘Mercedes Reveals New Westfalia Campervan‘, because that’s what it’s all about! 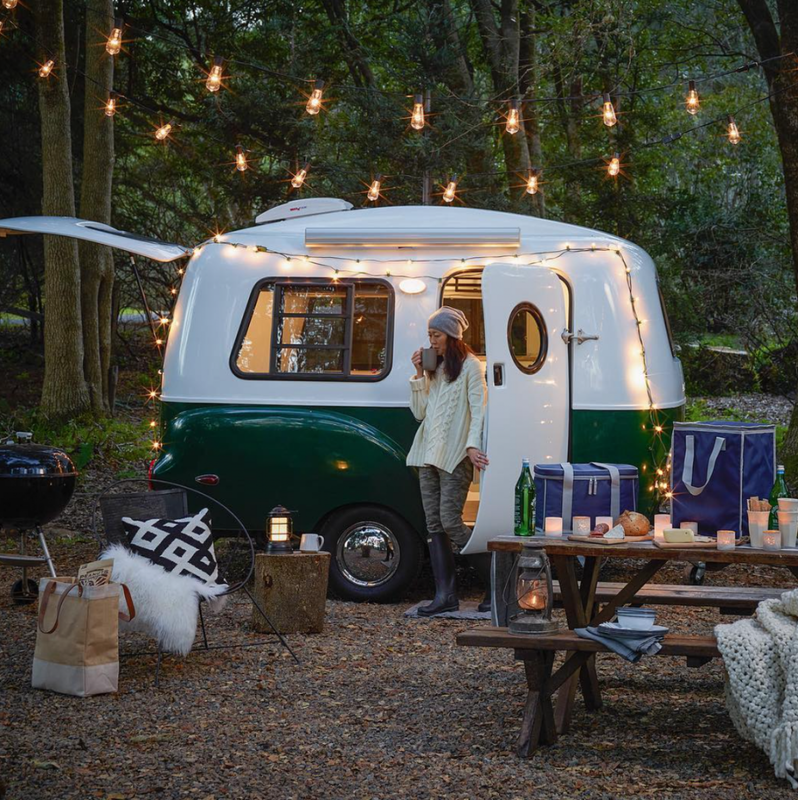 Something about the HC1 range of small campers from Happier Camper makes me smile; being in one of these funky little trailers would make anyone a happier camper, and they’re the things that Van Life Instagram dreams are made of. Designed for outdoorsy people, the classic two-tone paintwork on these dinky campers reminds me of the VW T2 campervan. 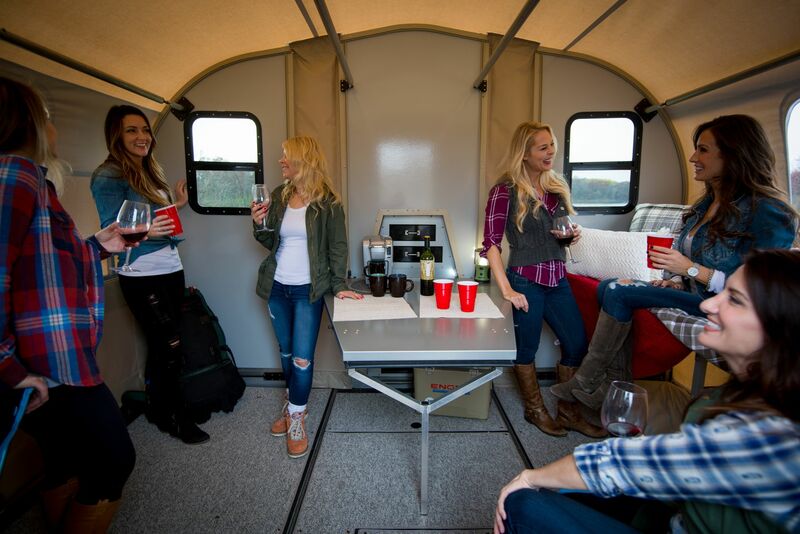 These small campers ooze wanderlust, and they are cleverly designed so that you can change the style and layout of your trailer to suit your needs as you travel! 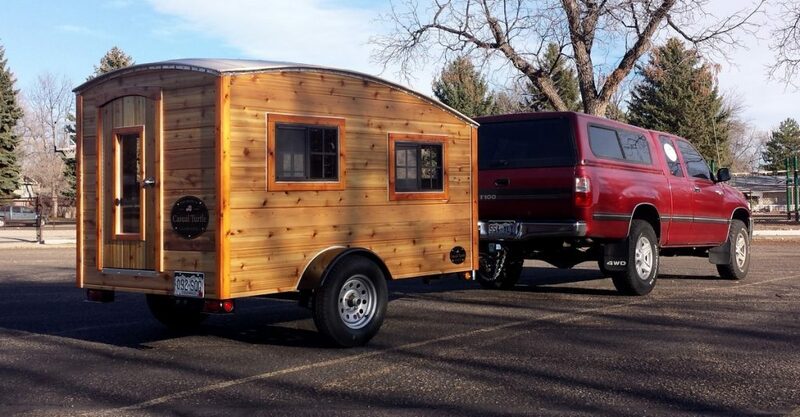 Keep Scrolling To Check Out More Incredible Small Campers! From the trailer that takes inspiration from a legend to focusing on the legend itself. the Volkswagen Bus Camper has and always will be the most iconic camper of all time. From the Beach Boys to the most popular Vanlife Blogs, these small campers from the So-Cal surf scene changed van life forever, and they still make children and adults alike feel like Christmas is just around the corner whenever one drives past. We did a bit of searching and discovered a company that renovates and restores VW campers to their full glory, adding in a few extra touches to bring them up to speed with modern day living. 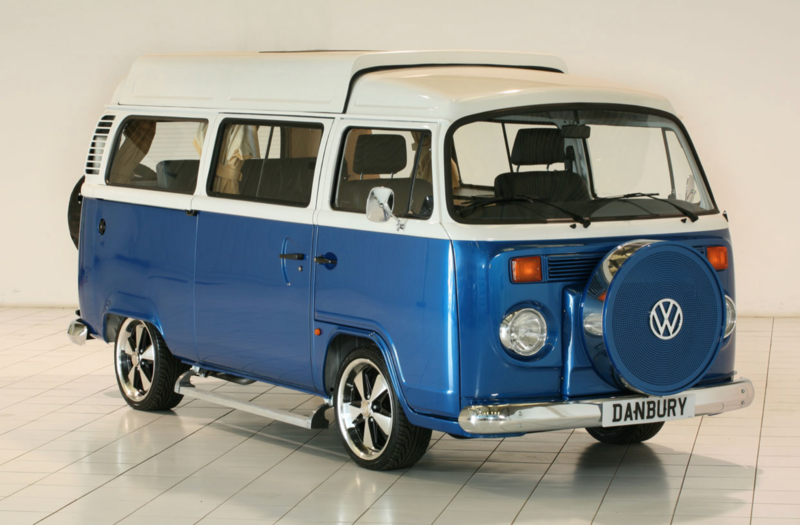 Danbury Motorcaravans specialises in creating VW campers that capture the essence of the VW brand. They’re a family run organisation based in Bristol, UK, and their conversions cost a lot less than you might think! Each conversion sticks to the same kinds of fabric and colour schemes that you may well have seen in one of the original VW Busses, and the inclusion of modern day appliances like the new 12V fridge in the conversion above ensure that you have everything that you could possibly need while out on the road, without having to check over the instruction manual of an old coolbox that no longer exists! The price for a standard T2 conversion is around £36’000, which is far less than the Trakkadu for a piece of real VW history. 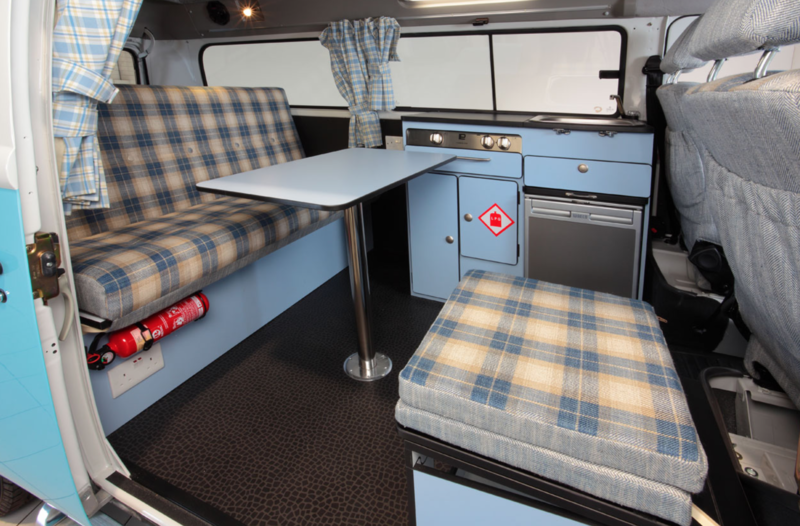 Head to Van Clan to read more about this retro range of small campers! 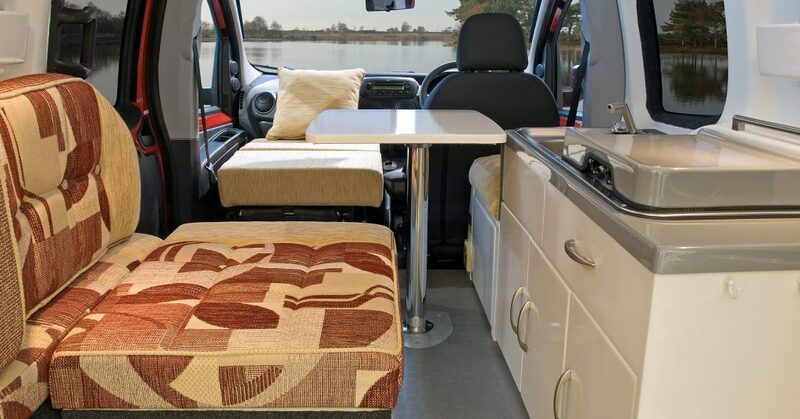 The Vivaro Tourer Weekender is probably the most simple camper conversion on our small campers list, consisting of a bed and some swivel seats. The back seats fold down to create a bed that looks wide enough for two adults to have a decent nights sleep, and the array of windows make the camper feel light and airy (although you’d need some blinds if you didn’t want to get woken up at 6 am). The boot is large enough to store overnight bags in, but it’s not large enough to hold your travel bikes or adventure gear without an added roof rack. 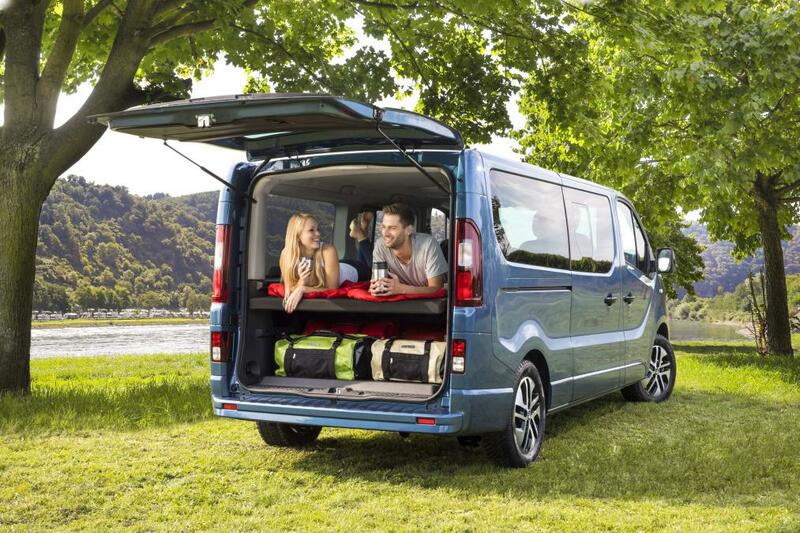 It’s a little on the rough and ready side, but if you’re after small campers that can seamlessly be converted back into a day-to-day school run or work vehicle, then the Vivaro Tourer Weekend is a perfect choice. I guess the name kind of gives it away; this camper is for the weekend warrior, not for long term travellers who want to take their life’s possessions away with them. While there isn’t much space to cook or wash indoors, you could always grab yourself an outdoor cooking system like the BioLite CampStove or the iKamper EatOut and whip out some tasty meals. Add a portable solar charger and some of our best power banks to the mix and you’ve got an off grid set up that should fine for a short trip away. 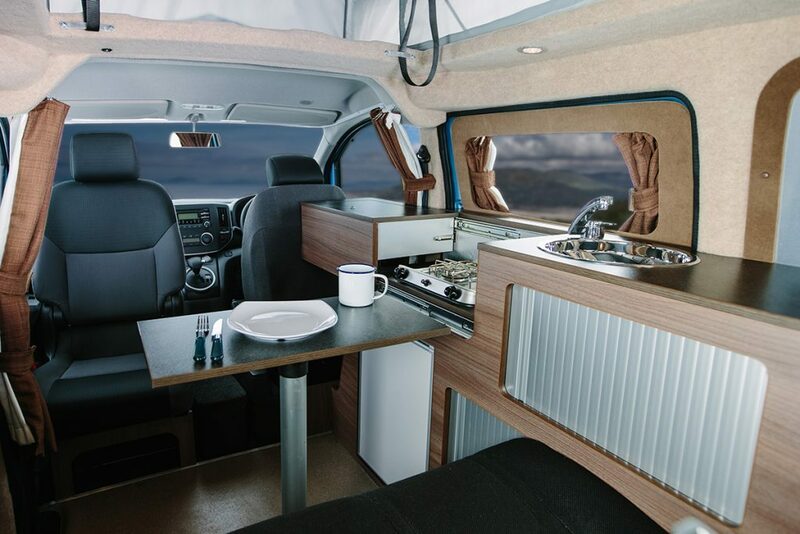 Check out our article, Vauxhall Reveals New Weekend Campervan, for more information. Apart from having the coolest name on our small campers list, the Casual Turtle Hatchling is also the best example of a tiny eco house that can be towed by pretty much any vehicle. What’s more, it’s also probably the cheapest too, with a price tag of just over $6’000. That’s an incredibly small amount of money for the level of cratsmanship that goes into each Turtle Camper product. This slightly larger take on the iconic Teardrop Trailer is lightweight and spacious, allowing for multiple layout styles to be considerd when you begin planning your new rolling home. I like the Hatchling because a lof of the interior design is left to the owner, allowing you to put your own stamp on the camper and making it unique. Each cabin weighs around 800lbs, officially making them the lightest campers on our list! Admittedly, this is without any extra gubbins added in, but if you like to live light, then you won’t end up adding too much extra weight into the equation. 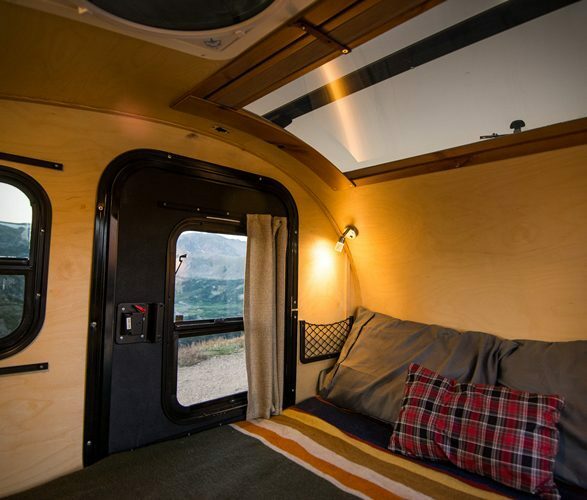 With a maximum interior headroom of 56″, the Hatchling certainly fits into our small campers category and this rustic range of eco campervans a perfect for anyone who is looking for affordable tiny homes. Unfortunately, Casual Turtle isn’t currently taking any more orders at this time, but let’s hope that doesn’t mean that they won’t be making any every again! In the mean time, perhaps you might be able to pick one up second hand off a careful owner. Head to the Casual Turtle website for more information on these super small campers. The Tuk Tuk camper might be more of a design concept at this stage, but I think it’s such a great idea for the lone cowboy or solo female vanlifer to see the world for less while working on the go. You’d never have a problem finding a parking space, and the fuel consumption would probably be minimal too! I suppose if you’re looking for small campers, then you can’t get much smaller than a Tuk Tuk, but the way that this particular camper has been designed still includes all of the necessary elements that you need to survive on the road; it even has a gas hob! If you happen to meet a Tuk Tuk Campervan on the road, then make sure to take some pictures for us and send them over. It might be a bit of a struggle getting up a hill and stressful when you see a huge traffic jam behind you, but it’s certainly an option for someone who doesn’t have a big budget and doesn’t want to spend their hard-earned cash mainting a larger vehicle. 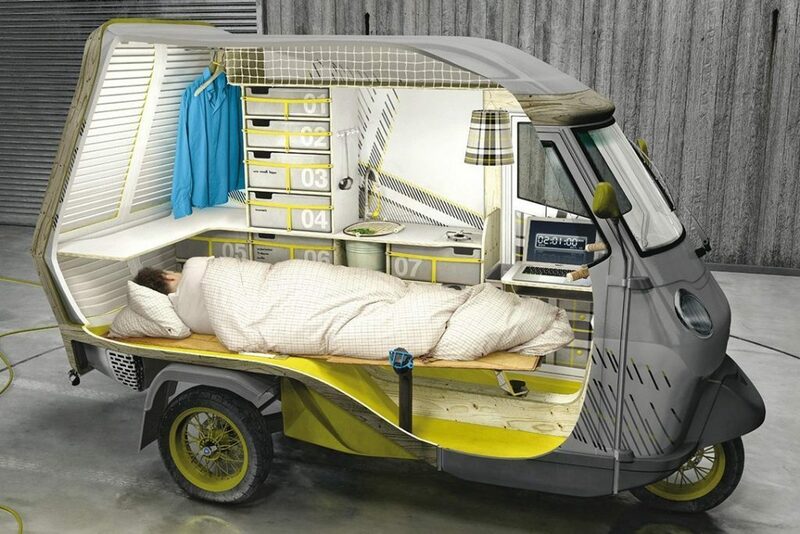 Check out our article on the Tuk Tuk Camper for more details! The Bowlus Road Chief might look like an Airstream Camper on the outside, but that’s where the similarities stop. Bowlus claim that they are the original aluminium travel trailer, and their strong belief in their product can be clearly seen throughout the entire camper. With outdoor and indoor shower areas, a stunning interior that you would be hard pushed to find in a large adventure bus, and a heap of cooking accessories and storage included, this miniature Iron Giant really packs a punch. 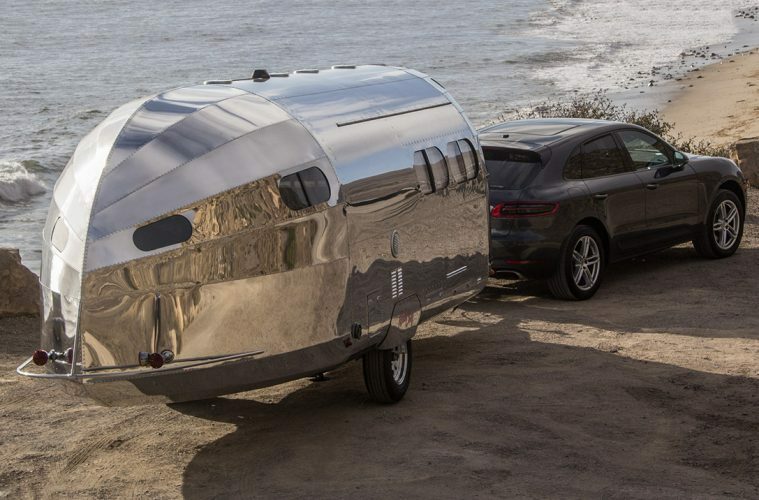 The Bowlus Road Chief is not only angling for the best trailer in our small campers list, but it’s also looking to take home the prize of the most aerodynamic trailer ever built too. Made from the same polished aluminium that you might find on an aircraft, this trailer is incredibly strong while remaining lightweight at the same time. The overall shape reduces drag, and the trailer is lined with sound deadening and insulating materials to make for a cosy, noise-free camper. Check out our full-length article on this amazing all terrain camper for more details! You may have remembered the Dalbury E-Electric from our Top Eco Campers article, a green alternative to diesel-guzzling vans and the world’s first all-electric campervan. Based on the Nissan eNV-200, the Dalbury E-Electric charges to 80% in just 30 minutes, which is about the time it would take to make and eat a sandwich and have a cup of tea. Electric vehicles are also super cheap to run; the Dalbury costs 2p per mile, which fills both my Yorkshire-Italian heart and my wallet with skint-flint delight! Another plus point about electric small campers is that you don’t have to pay any tax on the vehicles either; this just keeps getting better and better! Inside the Dalbury E-Electric, you’ll find a swish looking camper that looks stylish and sophisticated. The pop top gives you enough room to stand up while cooking, and the flip out table/gas burner combo station means you can serve food to your plate while it’s still piping hot. 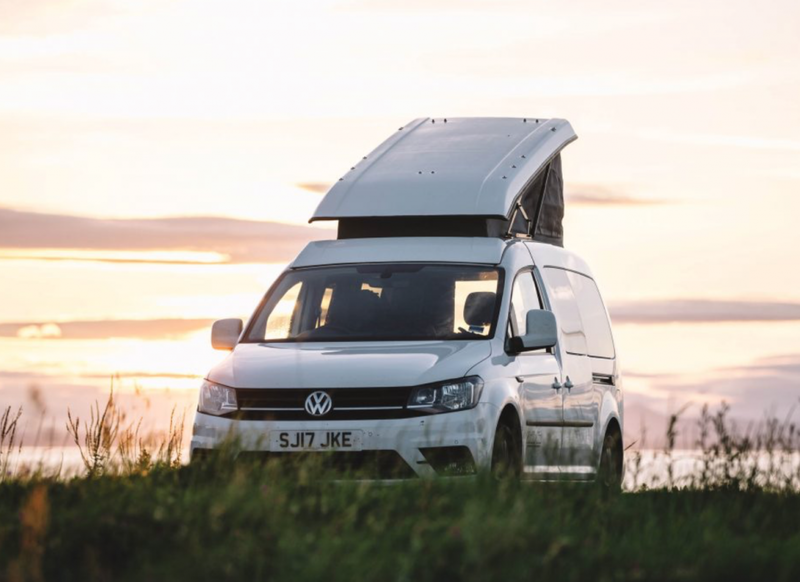 This is one of my favourite small campervans on the market today, mostly because there’s so much crammed inside without it seeming overcrowded, and because of the positive connotations towards cleaner living and climate change that surrounds this vehicle. 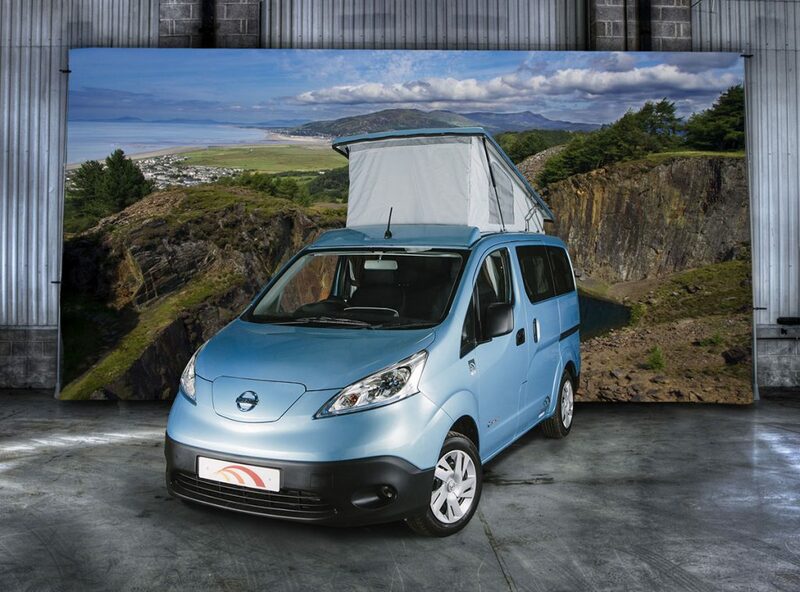 Check out our full article on this electric campervan here. 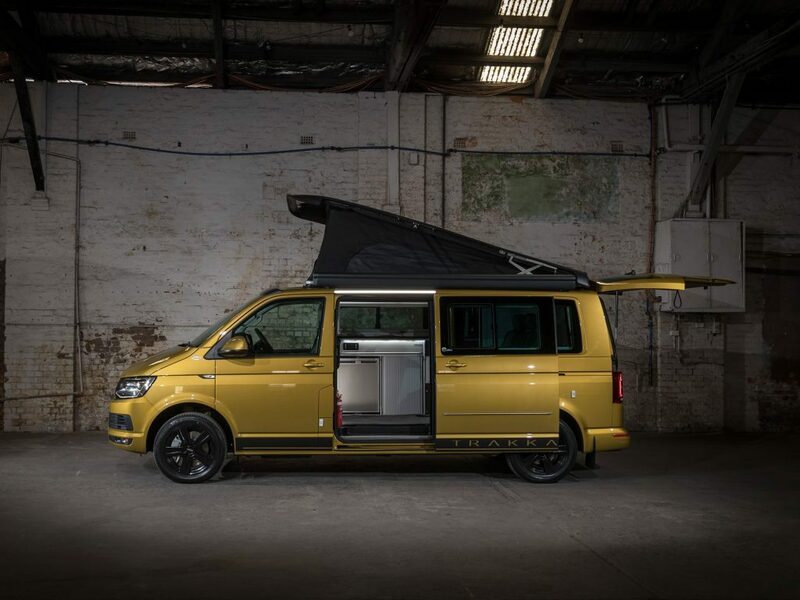 The ROMAHOME R10 is a new addition to the Van Clan small campers brigade, and at just under £30k for a fully fitted camper, it’s a bit of an all-rounder that would be suitable for both a solo traveller or a couple planning on hitting the road. Measuring at just under 4m in length and 2m in height, this range of small campers would be just as home in the city as they would in the wild. 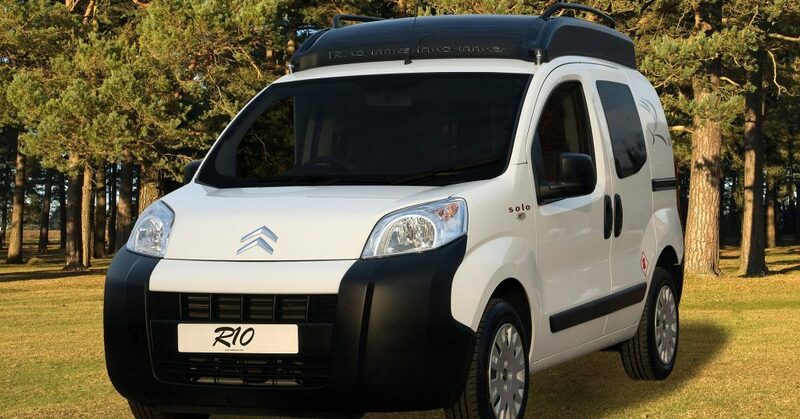 You won’t have to worry about your sat-nav taking you down a tight road or country lane in this little nipper, and the Citroën Nemo base vehicle is sure to give you a smooth ride no matter what terrain you’re travelling over. I’m sure that we’ll cover the ROMAHOME R10 in greater detail later on in the year, but for now, I’ll leave you with the knowledge that it comes with a fresh water tank, two batteries with a charger, mains hookup capabilities and a kitchen hob. You can add optional extras such as a Propex heater, lightweight awning, fold-down TV with DVD player and a handy reversing sensor for getting into those uber tight spots. Check out the ROMAHOME website for more details. We’ve covered quite a few trailers in our time, but none as weird and wonderful as the Taxa Mantis Trailer and it’s smaller brother, the Cricket Camper. Lightweight, spacious and durable, Taxa’s secret weapon is designed to be easy to manoeuvre and rugged enough for any type of off grid adventure. At just under 1500lbs it’s not going to drain your fuel tank and your wallet dry, and it’s perfect for long stints of off grid living away from the hustle and bustle of the campsite. The inside of the Cricket Camper is pretty simple in design, but Taxa has always been more focused on getting out and enjoying the world rather than focusing on making luxury products that are designed to keep people indoors watching TV. The Cricket is comfortable and has everything that you need to stay fed and watered, with a fold-out bed that is making me feel sleepy just looking at it. Check out our full-length article on the Cricket Camper for a more in-depth look into this awesome range of small campers. 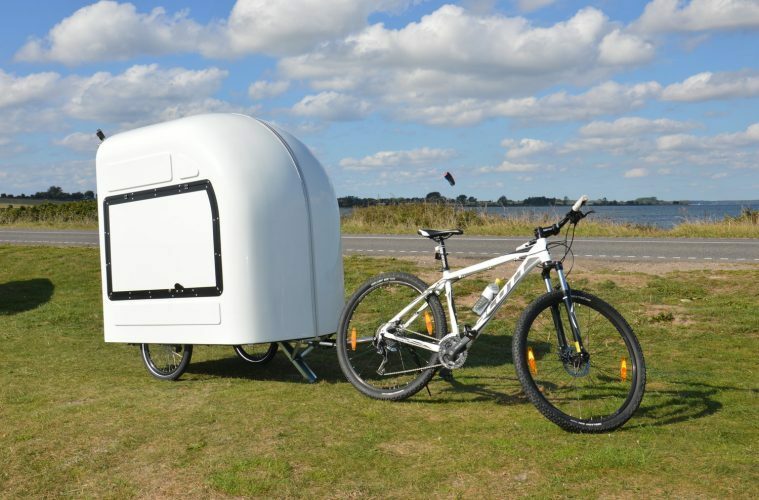 I couldn’t resist adding the Bicycle Camper into our small campers list, because you cant get any more low budget that this tiny leg-powered trailer. It’s the only small camper that is lightweight, eco-friendly, and low cost, plus it’s the easiest to store and comes with a portable solar panel too! It might not be the largest of our small campers (that definitely makes sense if you read it through a couple of times), but it’s proof that you can get off grid for less if you’re willing to make a few sacrifices on space and can tackle towing your dining table behind you while pedalling up massive hills. 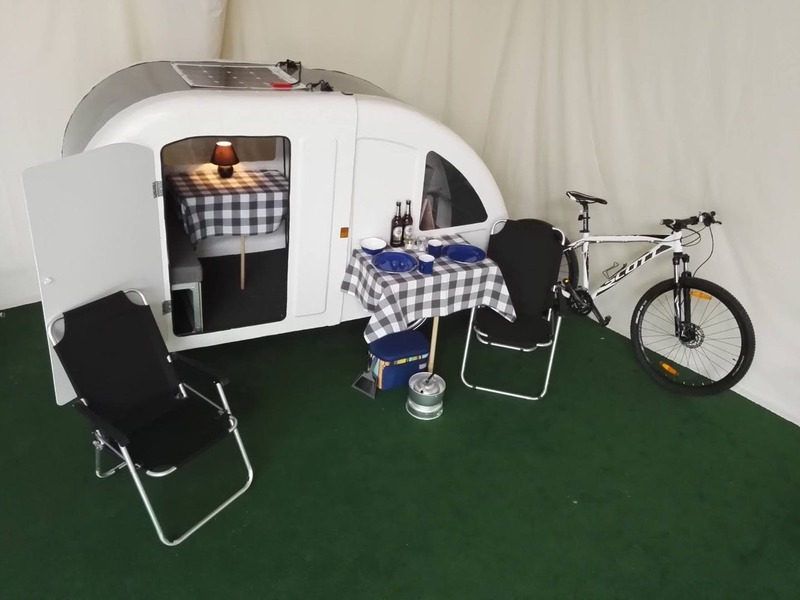 Check out our article on the Bicycle Camper for more information and some pictures of the stunning locations that it’s owners have travelled to! These travel backpacks are perfect for the vanlifer who loves the outdoors! Check out the best rooftop tents that let you camp anywhere! What is the best van to live in? We’ve done the hard work for you.